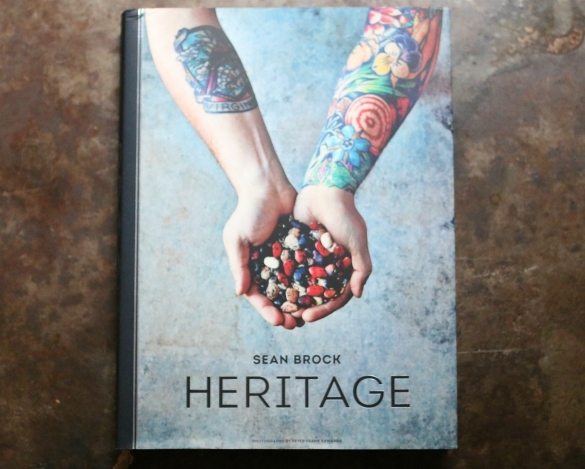 Sean Brock's Heritage cookbook is one of my new favorites. It was a holiday gift and one I've been eager to own since hearing rumors of a new book in the works. If you have not purchased a cookbook in a while this is one to get. A cookbook to own,While paging through the book in hopes of discovering new Southern recipes to try, I found myself completely wrapped up in Brock's storytelling. He brings the recipes on the pages to life, giving them feeling — salt herrings and cantaloupe have that power over me, no question. Summer vegetables literally take me back to standing barefoot in my grandparents' giant (what seemed giant at the time) home garden. ►Cook with soul—but first, get to know your soul. ►Be proud of your roots, be proud of your home, be proud of your family and its culture. That's your inspiration. ►Cook as if every day you were cooking for your grandmother. If your grandmother is still alive, cook with her as much as possible, and write everything down. ►Respect ingredients and the people who produce them. ►Visit the farmers' market at least once a week, and use most of your food budget at the market. ►Buy the best that you can afford. ►Grow your own—even if it's just a rosemary bush. 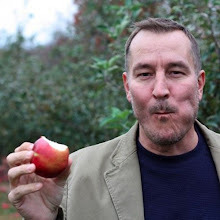 You'll taste the difference and start planting more right away. ►Do as little as possible to an ingredient when it's perfect and at its peak. ►You can never be too organized; a clean work space allows for a clean mind that can produce a clean plate of flavors. ►Cook in the moment. Cook the way you are feeling, cook to suit the weather, cook with your mood, or change your mood. ►Let vegetables tell you what to do. Taste them raw before you start thinking about how to cook them. Are they sweet? tender? crunchy? starchy? ►Cook a vegetarian feast occasionally. Vegetables cooked with care can be just as rewarding as a piece of meat. ►If you are dead set on making a specific recipe but when you go to the market the ingredients don't speak to you or feel and smell perfect, don't make the recipe. Cook from the hip—you may surprise yourself. Perfect ingredients don't require much; shop for flavor, not concept. ►Overseason something with salt and acid just so you know what is too much. Then ride the line, and you'll find your balance. ►Listen to your tongue; it's smart. ►Cook using your instincts. Cooking times are just guidelines. ►Try to make every dish better every time you make it. Keep a notebook to document successes and failures. And record your creative inspiration in it as well. ►Eat with your hands as much as possible. ►Be curious! Ask yourself questions: Why did the fish stick to the pan? Why did my sauce break? ►Never stop researching and seeking knowledge in the kitchen. ►Cooking should make you happy. If it starts making you angry, stop cooking and go eat at a nice restaurant. Come back the next night and think about what went wrong and give it another shot. ►He who dies with the biggest pantry wins. 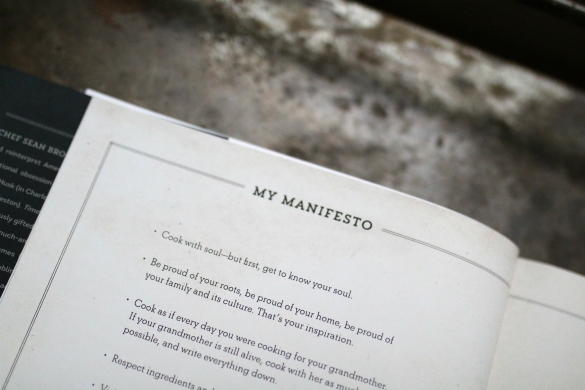 Credit ►►► Above manifesto republished from Sean Brock's Heritage cookbook. Simple, right? And yet so powerful. I appreciate Sean's sensibility, putting many of my own thoughts and food values into words I can't seem to articulate. Do you ever have moments like that? P.S. Brock's recipe for pimento cheese nails it. It's similar to the version I make, which I have to admit pumped me up a bit and leaving me eager to try adding hot sauce and a little Hungarian paprika to the next batch I whip up.